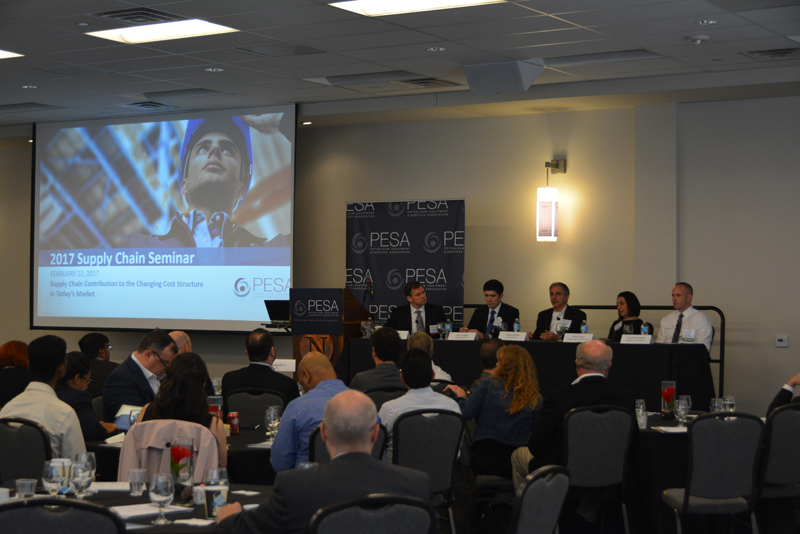 Attendees at PESA’s 2017 Supply Chain Seminar, Supply Chain Contribution to the Changing Cost Structure in Today’s Market, heard from a variety of speakers who all voiced that in the current state of the market, although optimistic, operators and service companies must develop partnerships to achieve their goals. 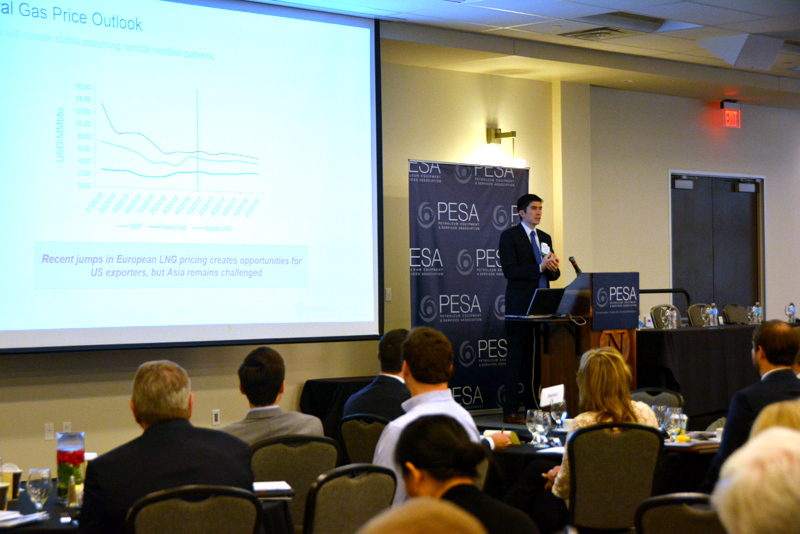 Jeff Quigley, Director of Energy Markets, Stratas Advisors, started off the morning with an economic overview and spoke to recovery and balance in 2017. “With the recent OPEC deal as well as a new Administration in place, there is substantial optimism, but it is cautious optimism,” said Quigley. He forecasts natural gas prices to remain stable and North American production returning through 2017 into 2018. Quigley closed with reiterating that although there are several unknowns moving forward regarding economic outlook, geopolitical issues and tax policy, the slow uptick in the market is creating enthusiasm and building confidence within the industry. Next, Roger Bhalla, Manager of Supply Chain Services & Technology, ConocoPhillips, focused on themes related to working together more efficiently. He first touched upon performance-based contracting, highlighting the importance of specific contract strategies as well as combining shared services capabilities. He then spoke about eliminating waste within the organization, tapping into automation as well as identifying non-productive time and concentrating on productive people. 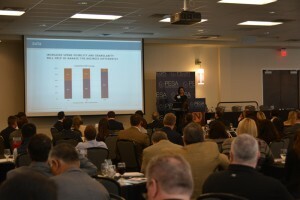 “Having expert, focused staff, who truly understand what the data means is critical,” he said. Bhalla concluded his presentation by addressing the importance of improving visibility of information within supply chain. Digitizing interactions as well as using smart analytics around big data to better understand and act upon opportunities helps to elevate overall speed and ease of operations. 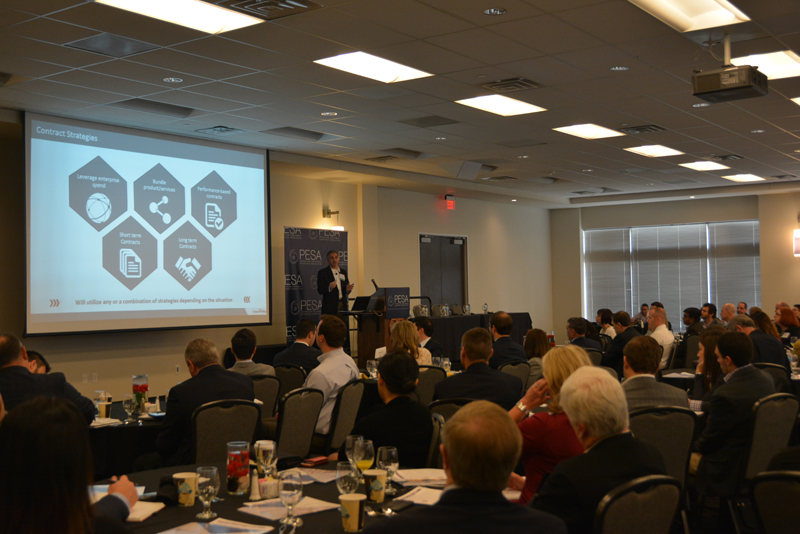 Scott Campbell, Manager, Supply Chain-Eagle Ford and Mid-Continent, Marathon Oil, provided insights on Marathon’s supply chain vision for 2017 and beyond. He showed that commercial excellence, efficiency and transparency and building upon strategies from year to year maximize the overall supply chain value. Campbell expressed that what companies are doing today in the oil and gas space may not necessarily be what works for them tomorrow and therefore having the capability and flexibility to make changes is crucial. “We need to be able to shift our mindset to be successful,” Campbell said. Campbell also spoke to the recurring theme of the importance of standardization of data to information, “Getting data in the correct, digestible format to the right people to add value and to grow our business is essential.” Campbell closed his presentation by articulating that combining partnerships with innovative strategies and quality processes not only impact value but create opportunities. All of the speakers participated in a panel discussion giving the opportunity for continued discussion with attendees. 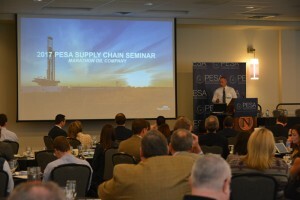 The panel was moderated by PESA Supply Chain Committee Chairman Brad Wise, VP Marketing, DistributionNOW. 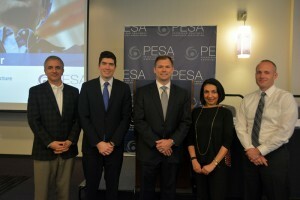 All of the speakers participated in a panel discussion giving the opportunity for continued discussion with attendees. Although each speaker answered several different questions and spoke to different topics, the message about relationships between operators and services companies was clear. “Partnering with service suppliers helps drive innovation as well as better position ourselves in the ever-changing oil and gas industry,” Campbell said. The slides from the Seminar are available online.